Family gathering at Hacienda near Chiclayo, ca. 1930. 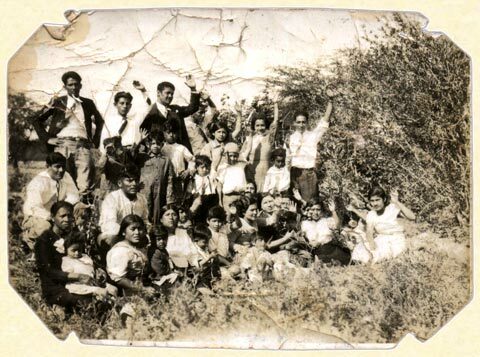 Manuel Heredia Muro is the third from left standing in the back row. The goup salutes in APRA, Peruvian political party, style. Click here to see a larger image where you can identify the people in the photograph.